We strive to better ourselves constantly. 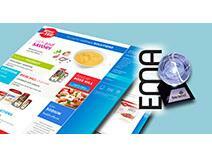 We therefore find it important to share with our customers our various awards and certifications. Baracci Solutions à l’international Davey Awards ! 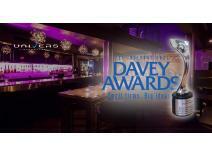 The Academy of Interactive & Visual Arts and the Davey Awards honor Baracci Solutions as the Silver winner of the International Davey Awards amongst 4000 entries for the Univers Ristorante - Bar website ( www.universrestobar.com ). Another Award for Baracci Solutions! The Summit International Awards (SIA) has awarded Baracci Solutions the Summit Emerging Media Leader Award (Summit EMA) in the B2B category recognizing creativity, innovation and emerging media for the design and development of the www.rosehillfoods.com responsive website. The Summit EMA competition included entries from Australia, Canada, Denmark, Malaysia, New Zealand, Singapore, Switzerland, United Arab Emirates, United Kingdom and United States. Baracci Solutions has received an Outstanding Achievement Award by Interactive Media Awards (IMA) for En Gros Pierre website. Our team has won an Outstanding Achievement Award in the B2B category by Interactive Media Awards (IMA) for the design and development of the www.engrospierre.com Website. The winner of this award must demonstrate excellence in all judging criteria and achieve a near-perfect overall score. The Outstanding Achievement Award therefore needs to represent the highest levels of Design, Content, Feature Functionality, Usability, Standards Compliance and Cross-Browser Compatibility. 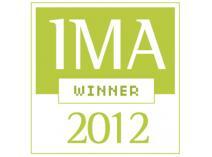 Baracci Solutions has received two IMA Best in Class awards for MilanoFruiterie.com. Our team has won two 2015 Best in Class awards for the design and development of the Milano Fruiterie website. 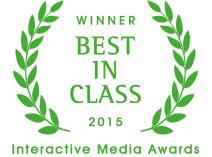 Granted during the Interactive Media Awards (IMA), the Best in Class award is the highest honor bestowed by the Interactive Media Council. The winner of this award must demonstrate excellence in all judging criteria and achieve a near-perfect overall score. Best in Class websites therefore need to represent the highest levels of professionalism, standard compliance and impeccable planning and execution. 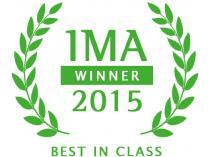 We won the IMA’s “Best in Class 2015” award for the Patisserie St-Martin responsive website. We are very pleased to announce that the Baracci Solutions team was honoured with the 2015 IMA Best in Class award for the design and development of Patisserie St-Martin’s responsive website. 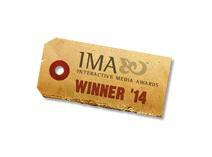 The Interactive Media Awards (IMA) recognize the highest standards of excellence in website design and development. Their judges base their evaluations on five criteria: Design, Content, Feature Functionality, Usability and Standard Compliance. Baracci Solutions, Silver Winner at the 9th Annual W³ Awards for the Arlette Cousture Web Portal. Baracci Solutions is proud to announce that it has been honoured with a W3 Award for the design and development of the ArletteCousture.com website. The W³ Awards, sanctioned and judged by the Academy of Interactive and Visual Arts, honors creative excellence on the web, and recognizes the creative and marketing professionals behind award winning sites, videos and marketing programs. The AIVA oversees all judging and provides strategic direction for The W³ Awards. The AIVA is a membership-based organization of leading professionals from various disciplines of the visual arts dedicated to embracing progress and the evolving nature of traditional and interactive media. Baracci Solutions is proud to announce that it has been honoured with the IMA Outstanding Achievement 2014 award in the ‘Education’ class for the design and the development of the Kuwait University’s Sabah Al-Salem Kuwait University City Construction Project website. The Interactive Media Awards™ recognize the highest standards of excellence in website design and development and honor individuals and organizations for their outstanding achievement. Created by the Interactive Media Council, Inc. (IMC), a nonprofit organization of leading web designers, developers, programmers, advertisers and other web-related professionals, the competition is designed to elevate the standards of excellence on the Internet and offer winners a boost in marketing and exposure. Baracci Solutions is proud to announce that it has been honoured with the IMA Outstanding Achievement 2014 award in the ‘Manufacturing’ class for its work on the Ampak Group website. The Interactive Media Awards™ recognize the highest standards of excellence in website design and development and honor individuals and organizations for their outstanding achievement. Created by the Interactive Media Council, Inc. (IMC), a nonprofit organization of leading web designers, developers, programmers, advertisers and other web-related professionals, the competition is designed to elevate the standards of excellence on the Internet and offer winners a boost in marketing and exposure. Baracci Solutions is proud to announce that it has been honoured with a Summit International Award for its work on the Ampak Group Website. The SIA is dedicated to furthering excellence in the marketing communications industry. It administers three distinguished advertising and marketing award competitions throughout the year with the goal of raising the awareness of companies and individuals who have the creative and marketing talent to go beyond the ordinary. Baracci Solutions is proud to announce that it has been honoured with a Summit International Award for its work on the Assante Quebec Website. The SIA is dedicated to furthering excellence in the marketing communications industry. It administers three distinguished advertising and marketing award competitions throughout the year with the goal of raising the awareness of companies and individuals who have the creative and marketing talent to go beyond the ordinary. Baracci Solutions is proud to announce that it has been honored with the IMA Best in Class 2012 award in the ‘Community’ class for its work on the Italian Canadian Community Foundation (FCCI). The Interactive Media Awards™ recognize the highest standards of excellence in website design and development and honor individuals and organizations for their outstanding achievement. Created by the Interactive Media Council, Inc. (IMC), a nonprofit organization of leading web designers, developers, programmers, advertisers and other web-related professionals, the competition is designed to elevate the standards of excellence on the Internet and offer winners a boost in marketing and exposure. 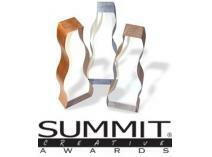 Baracci Solutions’ logo has been awarded the Bronze prize at the Summit Creative Awards. Baracci Solutions required an inspired, original and professional logo that would better represent the growing Greater Montreal area Web Solutions firm. The end result: an appealing logo that constantly garners positive feedback and congratulatory comments. The Summit Creative Awards are handed out by the Summit International Awards. The SIA is dedicated to furthering excellence in the marketing communications industry. It administers three distinguished advertising and marketing award competitions throughout the year with the goal of raising the awareness of companies and individuals who have the creative and marketing talent to go beyond the ordinary. 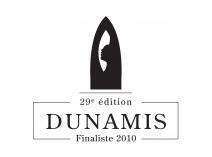 Baracci Solution has been named a 2010 Dunamis Finalist. The Laval Chamber of Commerce and Industry has recognized Baracci Solutions' numerous accomplishements and its role as a company that contributions to the economic and social development of the community.